Last week I had the opportunity to catch up with the Wiggle High5 team at their media/training camp in Mallorca. 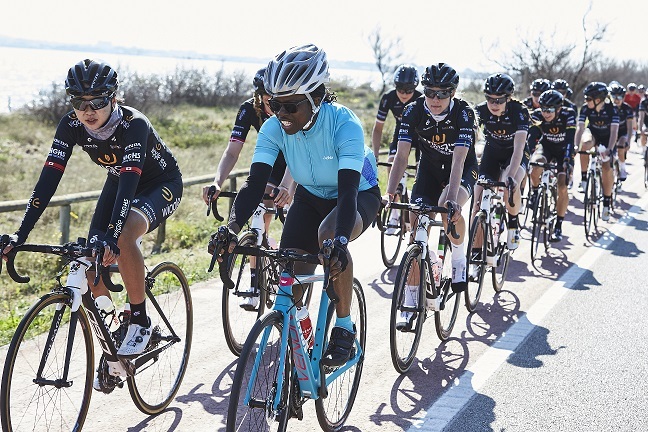 A group of journalists, including myself, were flown over to the team's base near Alcudia and where we interviewed the riders, their manager, Rochelle Gilmore, and also rode with them. They were an intense three days in which we cycled with them, ate with them, and interviewed them speed dating style. After an initial drinks reception on the Tuesday evening with the team, we then went to dinner where I was able to chat with the girls near me – familiar faces like Lucy Garner, who I had met a few weeks earlier at the London Bike Show, and Giorgia Bronzini who I have interviewed a few times over the last few years. But I also got to meet other team members like Audrey Cordon-Ragot, Claudia Lichtenberg, and Olympic silver medallist Emma Johansson, who now has a coaching/mentoring role on the team. Dinner was very relaxed and the women had a laugh, chatting about many things other than cycling. I was struck by the fact that there were no specific dietary restrictions on what people ate from the buffet, and the cake for Jolien d'Hoore's birthday did not go untouched! The following day we were suitably kitted out with a bike and appropriate Wiggle Dhb clothing so that we could at least look the part, even if we weren't going to give the "Wigglettes" a run for their money! I was given a Vitus women-specific bike which was nicely coordinated with my jersey. It's hard to believe that wasn't planned on purpose, but anyway it certainly felt good to be dressed up a bit more stylishly than my usual attire. 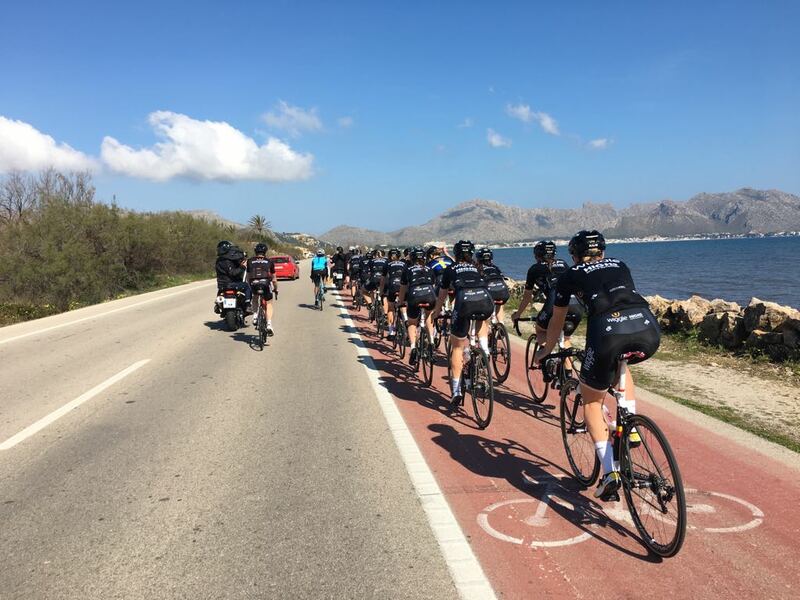 Our ride the following day took us up to the Lighthouse at Cap de Formentor, where the team was filmed as we rode along the flat terrain. Each journalist also had the chance to ride at the front of the group with the Wiggle High5 team behind us. Bear in mind that the pace was very moderated so that we didn’t get dropped by the pros! When my turn came to get on the front I chatted to Mayuko Hagiwara, a Japanese rider who I didn't really know very well. 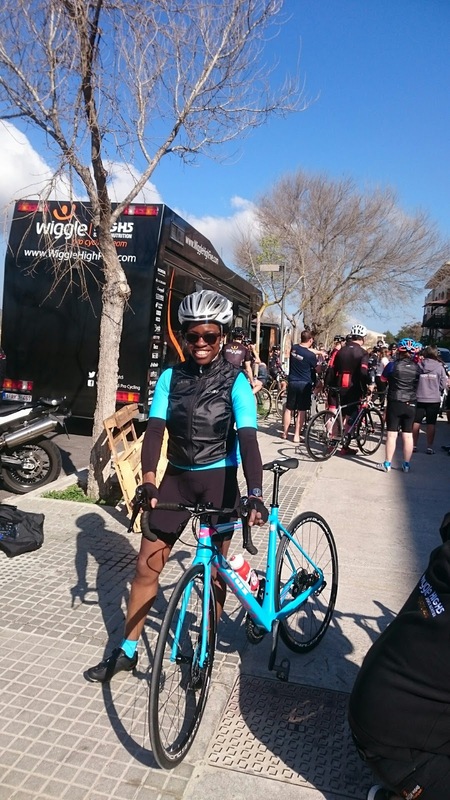 She had recently had success at the Cadel Evans Ocean race and the Semana Valenciana, but had to take it easy as she has recently been plagued by illness. Keeping up nicely on the flat - The hills were a different story! Shortly after the photo opportunity she peeled off and rode back to the hotel with the pregnant Anna Sanchis. I hope it wasn't my speedy pace that made her have to turn back! Just when I thought I was doing okay, sitting in the bunch with the professionals, the road went uphill as the route headed towards Formentor, and I got dropped. That was the last I saw of the riders until when I was grinding my way up near the summit and they came speeding down the road from the lighthouse to get home. Although I finished the ride a long time behind the "Wigglettes" I was just glad that I got back in time to start the interviews, and I had the energy to talk to them! As I get older I definitely feel I need more time to recover from exercise, and it is not uncommon for me to need a couple of hours to rest up after a training ride before I can do anything useful. So I was just glad I was able to get on with what I need to do without having a nap first! With the energy I had I was able to interview Giorgia Bronzini, Rochelle Gilmore, Emma Johansson, Lucy and Grace Garner, and Amy Roberts. One of the other great things about this media camp was that I was able to get biking tips from the pros - and they are pros. Emma Johansson, a two-time Olympic silver medallist gave me tips on descending, cornering and going uphill. 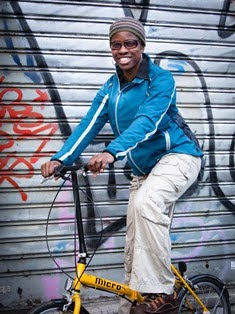 And then the following day Rochelle, a Commonwealth Champion showed us how to ride the rollers. While that is something I do at home, I realised that I had acquired bad habits so it was good to have those ironed out. My biggest achievement however, was being taught to ride no-handed. It certainly improves my positioning and pedalling technique. I learned to ride no-handed on open roads in Mallorca. I’m not sure this is something I’d want to practice on the streets of London though! I find media camp trips very productive, as they are a great way to get to know a team. Doing so in the early season makes for a springboard for building a rapport with the team members and following the riders' fortunes closely over the racing year. I look forward to catching up with the riders when they are over in the UK for the Tour de Yorkshire and the Women’s Tour. Thanks to Wiggle High5 and Brand Nation for hosting myself and my fellow journalists from The Evening Standard, The Press Association, Cycling Weekly, Bike Radar, Rouleur, and The Daily Mail.